The true tragic story of Joseph (John) Merrick, a horribly disfigured man who lived in London of the late 1800s, The Elephant Man is a movie that finds tenderness deep within abomination. Dr. Frederick Treves (Anthony Hopkins) tracks down the frighteningly distorted Elephant Man, a freakshow owned by the brutal Bytes (Freddie Jones). 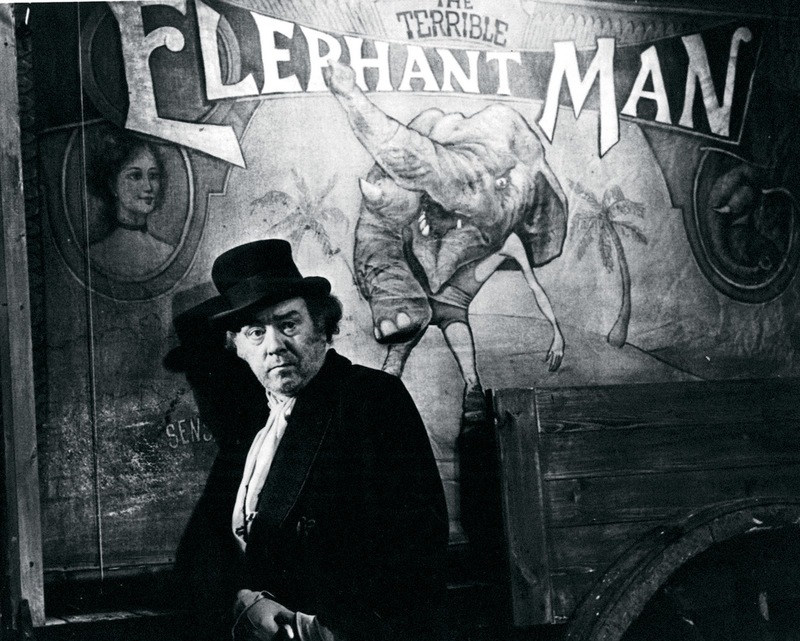 The Elephant Man is actually John Merrick (John Hurt), born with a disease that caused extreme enlargement of his skull, skin outgrowths, a uselessly overgrown right arm, and a mangled spine. After initially examining Merrick purely as a medical exercise, Treves delves deeper and discovers that Merrick is intelligent and can actually talk and read. London Hospital's Governor (John Gielgud) eventually agrees to make a room available to house and care for Merrick. Gradually London's upper classes, including theatre star Madge Kendal (Anne Bancroft) hear about The Elephant Man and start to visit him, although the hospital's night watchman continues a side-business of profiteering. Bytes has plans to regain control of Merrick as a meal ticket, and Treves has to deal with the guilt of continued exploitation. 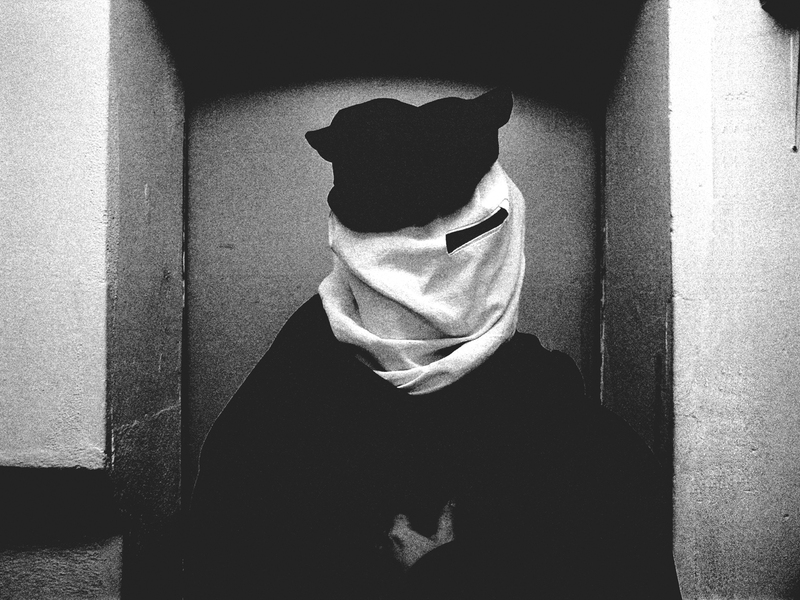 Ironically, The Elephant Man was one of the more mainstream films created by director and co-writer David Lynch. Staying close to historical facts, Lynch introduces Merrick with masterful artistry. For the first 30 minutes of the film Merrick is only seen in glimpses, under a shroud or from behind a curtain. Only once the context is set, the locales established, Merrick's suffering outlined, and the characters of Treves and Bytes introduced is Lynch ready to reveal The Elephant Man. It's a mature strategy of patience that works brilliantly in building anticipation and humanizing the subject prior to foisting him upon the screen. Lynch and cinematographer Freddie Francis make excellent use of the black and white photography to recreate the seedy London back alleys where sleaze thrives, and to capture the earliest days of industrialization and nascent medical progress. A still svelte Anthony Hopkins gives a complex performance as Dr. Treves, a man who initially just sees in Merrick an opportunity to advance his status. Hopkins allows Treves his pompous moment of bluster in front of his London medical establishment colleagues, but soon steers the character to a much more distinguished role as Merrick's gateway to society. But the doctor's journey not yet over, as Hopkins has to convey Treves' mounting revulsion that he may have only succeeded in helping Merrick move from one freakshow to another, albeit a high class one. John Hurt performs admirably underneath a mountain of make-up, and projects emotion with physical gestures and through a monstrously disfigured face. It does not take long for Hurt's eyes to channel trauma, joy, pain and longing. Hurt completely overcomes Merrick's deformation and releases the human within. In the support roles, Freddie Jones, John Gielgud, Anne Bancroft and Wendy Hiller provide serious depth to the outstanding cast. Society's response to tragic suffering brings out the best and the worst of human behaviour. The Elephant Man captures the base instinct to stand, stare, and profit, as well as the noble ability to bend down and help. The film leaves no doubt as to which course of action causes civilization to move forward.